With class back in session, your computer needs to be ready to handle the workload of this semester’s schedule. 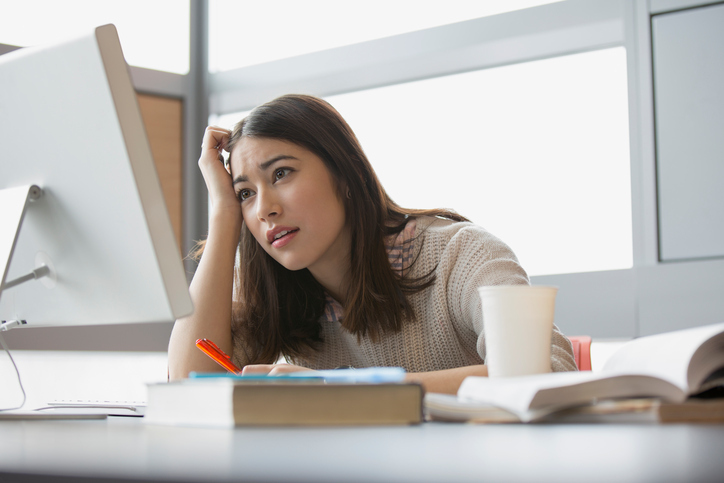 Problems with your desktop or laptop will easily cause college students a lot of stress. As your local source for computer repair, MP Computer Services wants you to focus on your studies, not on computer issues. Here are several common computer issues you need to keep an eye out for. Poor internet connection – Where would we be without the internet? Unfortunately, a slow internet connection can put a halt to your research and writing. Even worse, a loss of connection could happen just when you need it the most, such as when you’re taking an online exam. To avoid this, have your slow connection checked as soon as you notice a problem. Not meeting your school’s computer requirements – If you’ve been in school for a few years, you may not realize that your computer isn’t making the grade. If you feel like your machine’s performance isn’t up to par, take it in for a diagnostic check. If a new computer is your best bet, we can make recommendations on affordable models that meet the requirements. Your college’s IT department may be able to help you, too. Know when to call for technical support – If you’ve ever had to deal with a computer issue at school, you know how frustrating it can be. Rather than struggling to fix it on your own, know when to call for professional technical support. Local computer repair shops are often affordable, friendly, and willing to help students in their time of need. Don’t put off calling for computer repair services this semester. Trust Rock Hill’s local experts. MP Computer Services is here to serve you. Let us fix the problem so you can stay on top of your schoolwork.